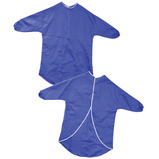 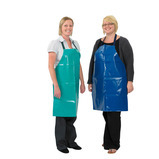 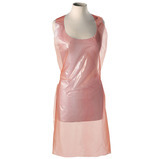 Superb quality polythene aprons on a roll. 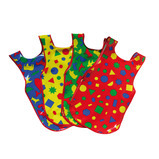 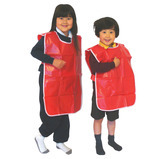 Child-size plastic aprons protect clothes from all art and craft, glues and paints etc. 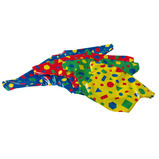 Children will enjoy wearing their bones on the outside with this realistic skeleton design printed on drawing paper. 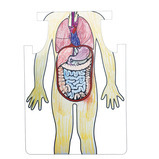 Learn how the body fits together, while being creative. 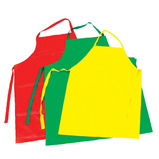 Superb quality polythene aprons in a dispenser pack. 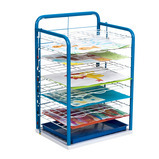 High quality art and craft station designed to keep resources tidy, organised and easily accessible. 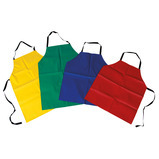 Features: apron hooks, pot holders, storage shelves (up to A1). 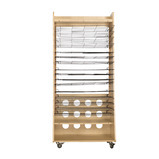 Store string, tapes and rolls of paper on the removable bar. 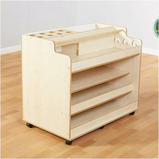 Easy to manoeuvre storage unit that keeps wet and messy art projects up and off the tables and shelves to dry. 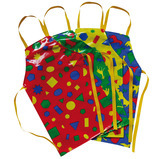 Features four castors (two lockable), convenient storage shelves and cut out apron hooks to keep resources tidy and accessible. 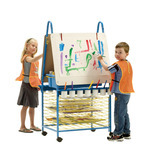 Create the perfect versatile art station for the classroom. 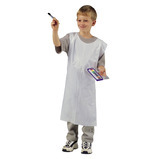 The double sided easel and 10 shelf dryer also includes two removable plastic paint trays, side apron hooks, 14 non spill paint pots and large plastic tub for storing art supplies.